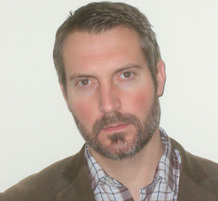 Professor Hall has worked at Exeter since 2004, and since 2006 he has been employed on the University's Penryn Campus in Cornwall. In spite of his long residence in the South West, he has never attempted surfing. Before coming to Exeter, Professor taught in higher-education institutions in the United Kingdom and the United States. He holds a BA in English from Hendrix College, a small liberal arts college in the state of Arkansas, and a PhD in English from the University of London (Birkbeck College).